GIC, Singapore government’s sovereign wealth fund, on Monday sold 70 million shares of the country’s largest real estate developer, DLF, in a block deal for around Rs 1,344 crore. The shares have been bought by existing investors who had pumped in Qualified Institutional Placement (QIP) programme at Rs 192. 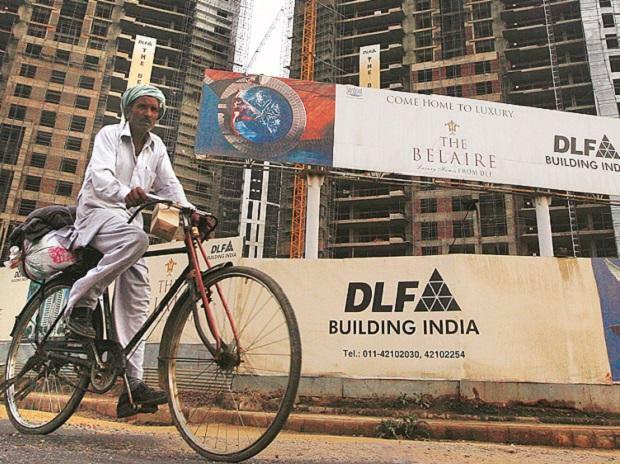 After the block deal broke, DLF share prices cracked by almost 8.4 per cent to close at Rs 184.60. “As a long-term investor, GIC has steadily grown our investments in DLF, one of India’s most established real estate developers, since 2011. Today, we remain invested significantly in DLF across various investment groups in our diversified portfolio. GIC will continue to strengthen our partnership with DLF to tap on investing opportunities in India’s real estate sector,” said Lee Kok Sun, Chief Investment Officer, GIC Real Estate. In 2016-17, GIC through its property arm had bought 70 million shares of DLF. GIC continues to hold its larger investments in DLF through commercial and residential arms. Their investment in DLF is valued at $1.8 billion. “This appears to be a trading call based on their portfolio optimisation and should not affect the strong relationship we have,” DLF spokesperson said. The company last month announced the launch of a QIP programme to raise Rs 3,175 crore. This is part of an earlier decision to cut its then massive debt, of Rs 28,500 crore only two years earlier. With the latest step, the aim is to bring this down to Rs 1,600 crore. The QIP plan was approved by the board of directors in mid-December 2018, approved by the shareholders a month after. The debt total at end-December was Rs 7,224 crore. Other than the QIP, the promoters would put in another Rs 2,500 crore, thus reducing the total of debt to a little less than Rs 1,600 crore. The turnaround in this regard had begun in August 2017 when K P Singh and his family — the promoters — sold their entire 40 per cent stake in rental arm DLF Cyber City Developers (DCCDL) for Rs 11,900 crore. This comprised sale of a 33.34 per cent stake in DCCDL for Rs 8,900 crore to GIC, the Singapore government’s sovereign wealth fund, and a buyback of the remaining shares worth Rs 3,000 crore by DCCDL. DLF had also announced a second joint venture (JV) with global realty investment, development and management firm Hines. DLF Home Developers (DHDL), a wholly-owned subsidiary, and Green Horizon Trustee (an affiliate of Hines) had formally signed the JV, for developing a high-end commercial project in Gurugram, worth Rs 7,000 crore. Total investment by the two partners would be Rs 1,900 crore.